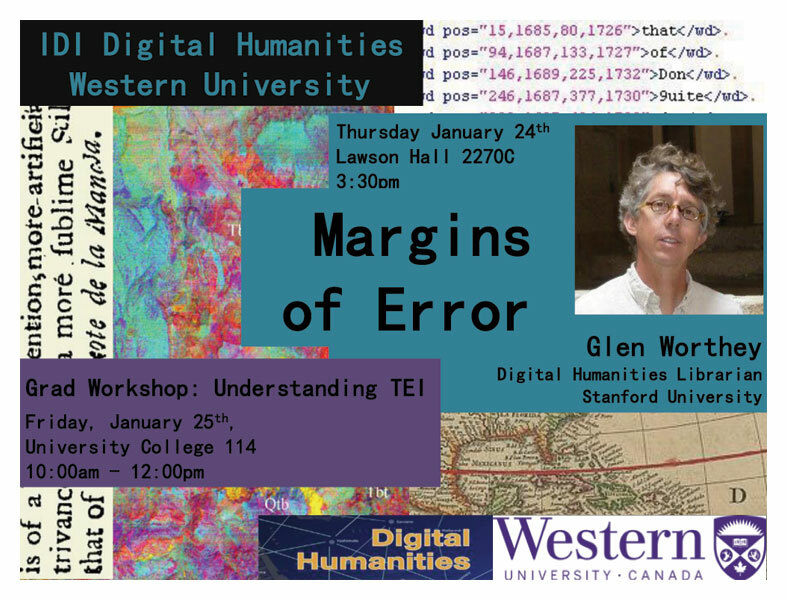 Glen Worthey (Stanford University) Speaks at Western on “Margins of Error” | Click Here. This entry was posted in Uncategorized and tagged Glen Worthey, IDI in Digital Humanities Speakers Series, TEI. Bookmark the permalink.